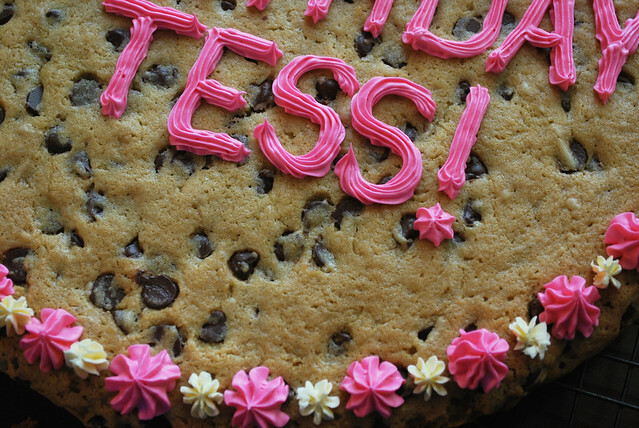 Homemade Chocolate Chip Cookie Cake – just like the ones you get at the mall! My sister-in-law turns 17 today and when it came time to make her cake, her mom suggested a cookie cake. I was excited to make it but it came with my standard warning, “You know I’m not a cake decorator” because let’s face it, I’m not. I used a basic chocolate chip cookie recipe for this, the one from the Nestle Tollhouse chocolate chip bags. I’m not sure if I’ve ever actually made the recipe (as cookies) but I was happy with how it turned out as a cake. I had worried that the outside would brown a lot faster than the inside but it all seemed pretty even in the end. Just be careful because the cookie does expand – I would suggest using a pan with a higher rim than I did or you could probably refrigerate the dough in the pan for a little while to stop the spreading. My favorite part of the cake was how easy it was to decorate! A few dots here, a few there, and it almost looked like the cookie cakes you buy at the mall! I was actually shocked at how much I loved how it looked. And, of course, it was delicious! flour, baking soda and salt in small bowl. Beat butter, granulated sugar, brown sugar and vanilla extract in large mixer bowl until creamy. Add eggs, one at a time, beating well after each addition. Gradually beat in flour mixture. Stir in chocolate chips. Grease 15 x 10-inch jelly-roll pan (or pan of choice). Spread into prepared pan. Bake for 20 to 25 minutes or until golden brown. Cool in pan on wire rack. 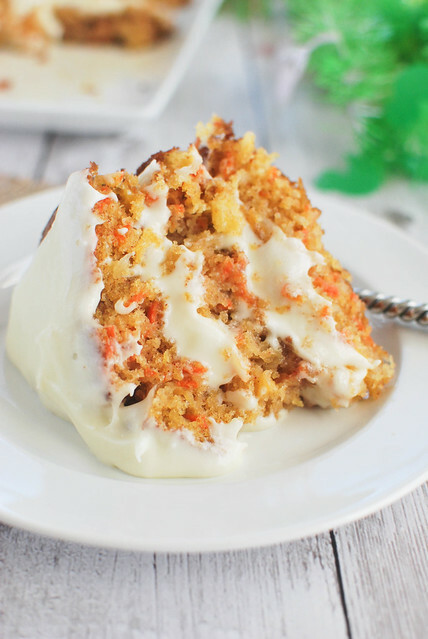 Want more birthday cake recipes? 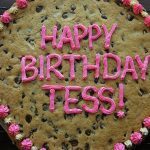 16 Responses to "Chocolate Chip Cookie Cake"
I love making giant cookie cakes! I love the pink and white! Cute! .-= Cristine´s last blog ..CIA Homeschool: Bagels =-. LOL!!! I LOVE your little avatar things that show up! those are adorable. .-= roxan´s last blog ..Paleo quiche =-. I could eat that whole thing. It looks so yummy. 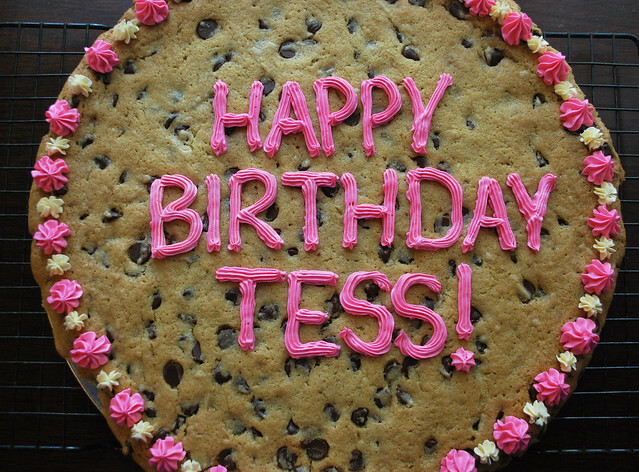 HAPPY BIRTHDAY TESS! Looks BETTER than the ones at the mall!! .-= Pam´s last blog ..Blueberry Zucchini Bread =-. 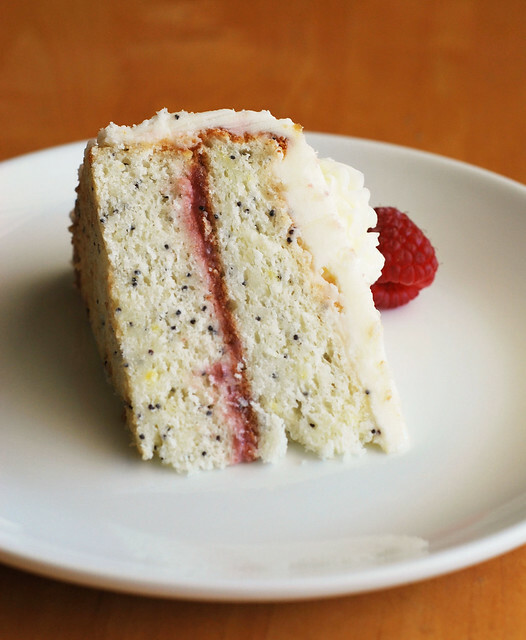 I made this a few times and it is the BEST, WAY WAY better than the store with the same dense/doughy texture. I baked it for 15 minutes. It’s now my go-to giant cookie recipe. I made this today for my daughter’s birthday–it looks great and it was so easy! Thanks for sharing!! was it difficult to get out of the pan? how did you go about doing it? I could just see myself baking it perfectly only to break it while trying to get it on the cooling rack. This was awhile ago but I think I left it in the pan. And then sliced and removed each slice with a pie server. Be Careful!!! This recipe has a misprint. It is the recipe from the back of the Nestle Tollhouse chocolate chips, but the oven temperature is wrong. The variation for a large pan cookie calls for cooking at 350 degrees. I followed this web page recipe and my cookie was very crunchy…almost burnt after 16 minutes in a 375 degree oven. What do u use for the frosting?